Anirudh Ravichander (born 16 October 1990) is the son of actor Ravi Raghavendra, nephew of Latha Rajinikanth, and cousin of Aishwarya and Soundarya Rajinikanth. His mother Lakshmi is a dancer. Anirudh was a part of a band in school called Zinx. At the age of 10, he started composing music and landed his first break – '3' at the age of 21. While pursuing his degree at Loyola College, he had done background scores for about short films by Aishwaryaa and was convinced by her to also work on her first commercial venture. Furthermore at the launch of the film in August 2011, Anirudh revealed that he had played the keyboard for compositions by A. R. Rahman and was a part of a band called Zinx. In early November 2011, a leaked version of a song from the film, "Why This Kolaveri Di" circulated online and the film's team decided to subsequently release it officially on 16 November 2011 with a music video shot featuring Dhanush singing the song at AM studios, accompanied by composer Anirudh on a keyboard. It instantly became viral on social networking sites for its quirky "Tanglish" lyrics. Soon, the song became the most searched YouTube video in India and an internet phenomenon across Asia. Within a few weeks, YouTube honoured the video with a '"Recently Most Popular" Gold Medal award and "Trending" silver medal award for receiving a large number of hits in a short time. The song was been built around a South Indian folk rhythm. Its instrumentation consists of nadaswaram, shehnai, saxophone, urumee and thavil drums, acoustic guitar, and keyboards mixed with electronic synths and scratches. The vocals utilize the singing style of Tamil folk culture. Lyrically, the song revolves around the film's main actor being dumped by his girlfriend; the song is sung by the character in a drunken state, with many of the lines nonsensical. According to composer, 3's director Aishwarya Rajinikanth Dhanush wanted a light-hearted song about failed love. Ravichander quickly composed the tune in about 10 minutes. Dhanush then began work on the lyrics, which he completed in about 20 minutes of playful singing and writing. PETALING JAYA: The surf beach in Sunway Lagoon will play host to Indian music director Anirudh Ravichander’s first ever solo concert in the country on Jan 31. The concert, billed “Anirudh Live 2015”, marks promoter Golden Goose Events' first major event. “He has been great and Malaysia has been amazing in receiving and coordinating the event,” said Golden Goose chief executive officer K. Yeragaselvan of Anirudh, who shot to fame in 2011 for his work in the Tamil movie 3 and its hit song Why this Kolaveri. Anirudh, who was also present at the press conference at the Signature restaurant on Saturday, noted that the concert would be a different experience for everyone with an audiovisual element added. “The music will, of course, be something suited for all ages,” he said, adding that he will be performing with four Malaysian acts. 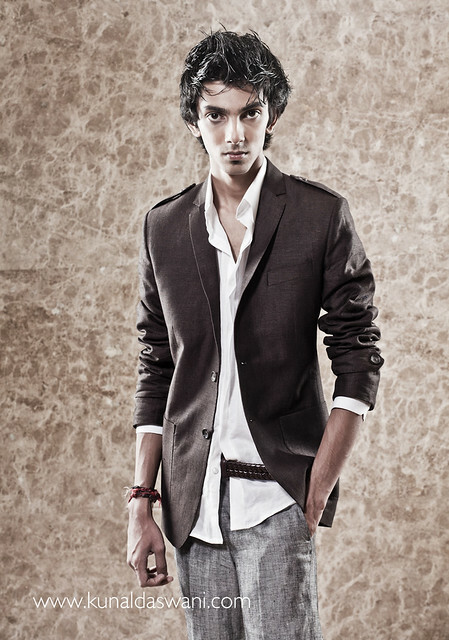 Anirudh said he was looking forward to his first solo concert in Malaysia as the country feels like his second home. “The people here are hospitable and warm and they make me feel good,” he said. When asked which other countries he was planning to tour, he said that concerts in Canada, the United Kingdom and Singapore might follow his Malaysian show. The anticipated three-and-half-hour concert will feature local acts Superfly Music, Starr Sound, Ktown clan and PsychoUnit alongside international singers Shakthisree Gopalan and Inno Genga. Ungalukku romba pakkamache-nu ketten. Oru concert poi paarunga. Quite a different experience. distance ellaam mattere illai... I will travel 100kms for good food.